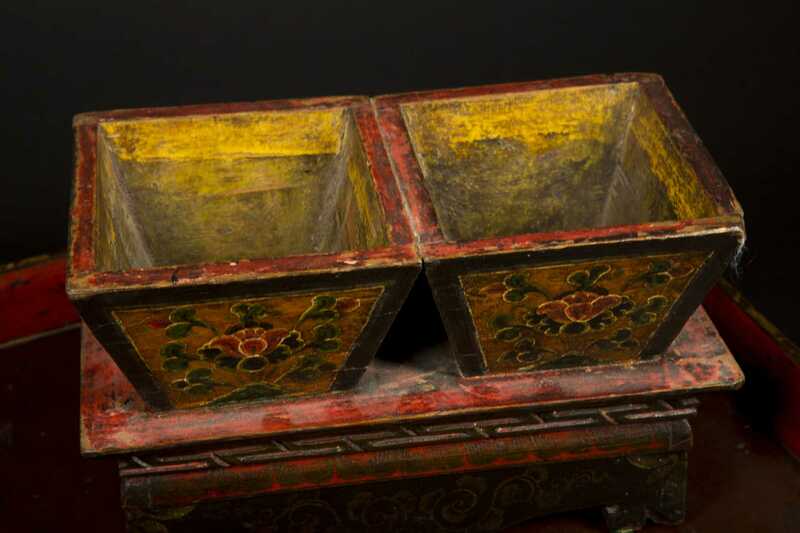 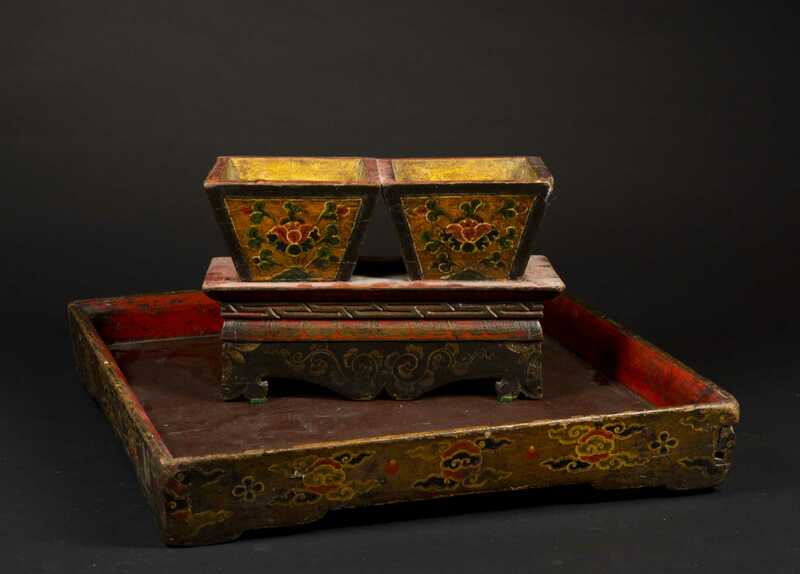 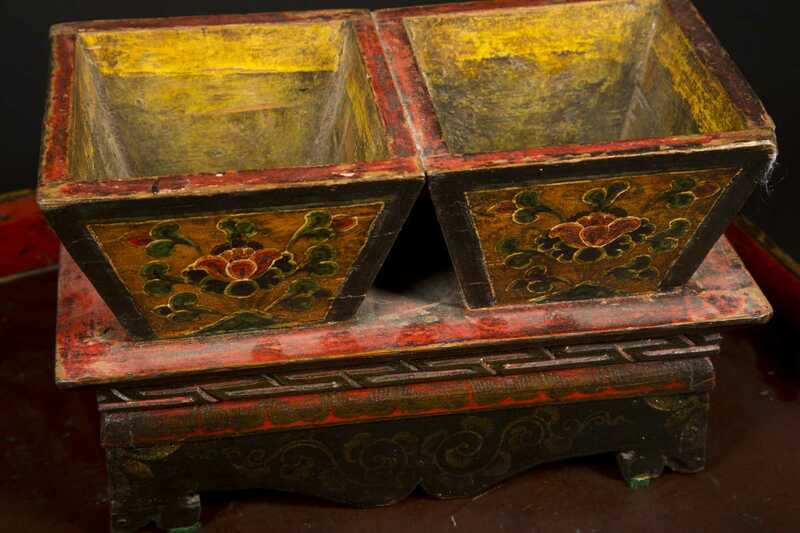 Three Tibetan Carved and Painted Accessory Pieces, A) Small offering cup- two canted side containers on a scalloped base stand, 12" x 6" x 7 3/4" tall, 19th/20thC. 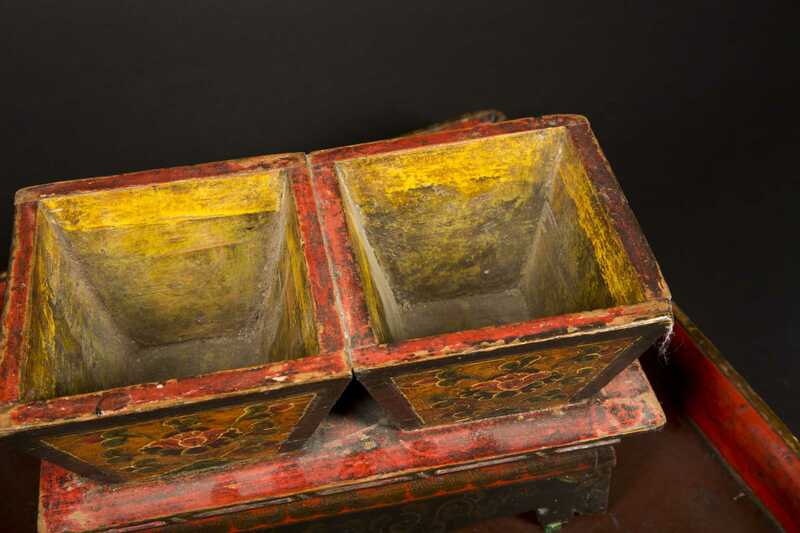 B) 18 1/2" square footed tray with dovetailed corners and old decoration, 19thC. 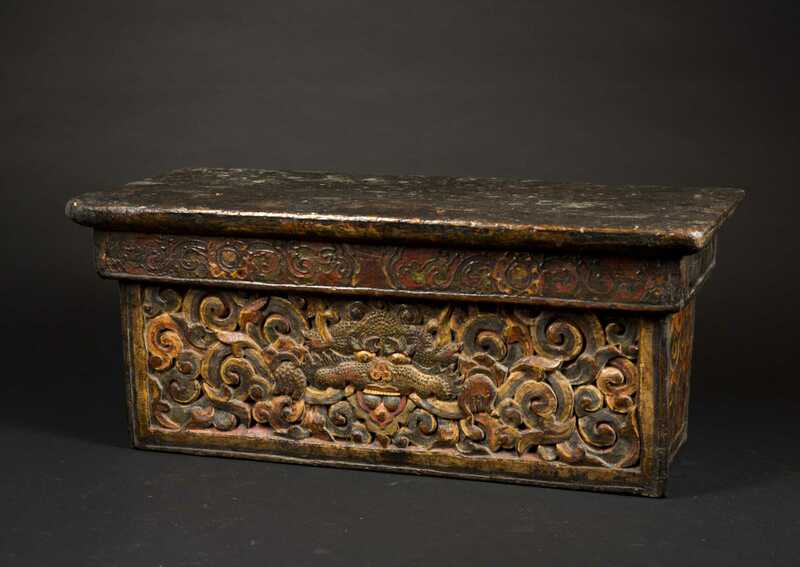 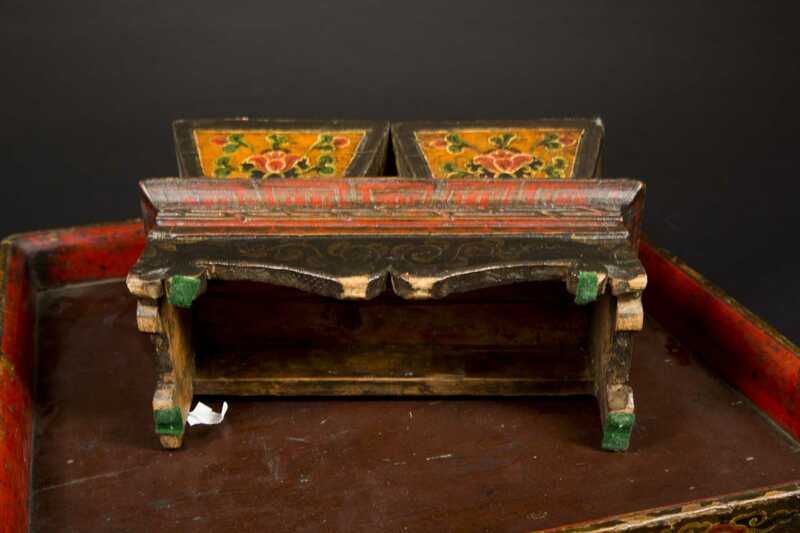 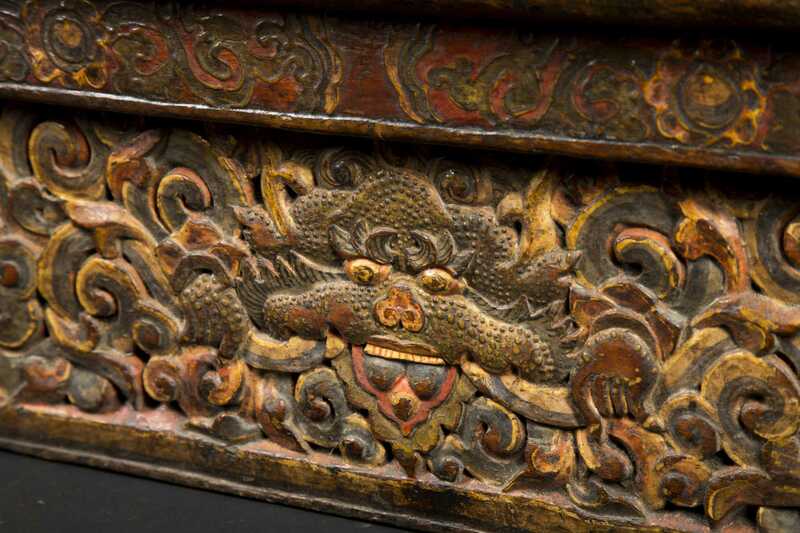 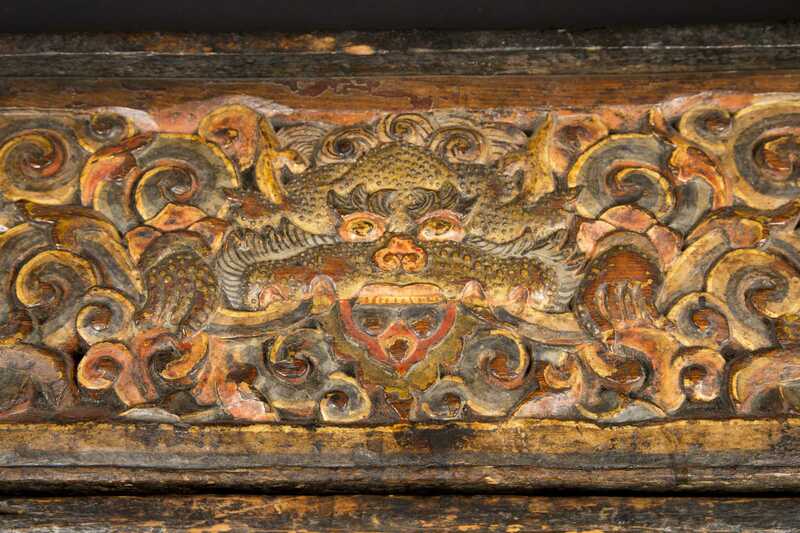 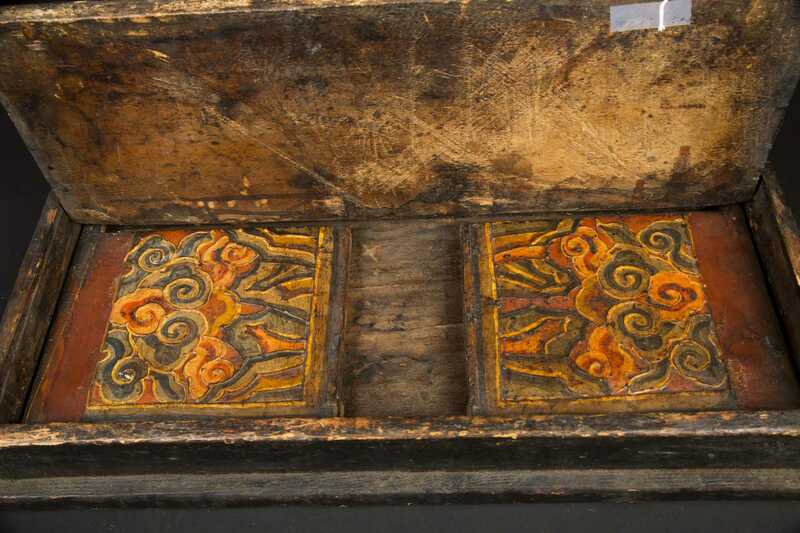 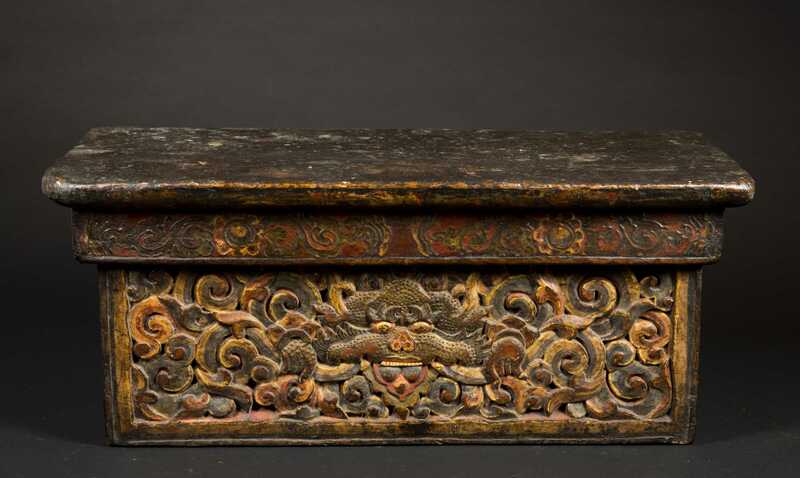 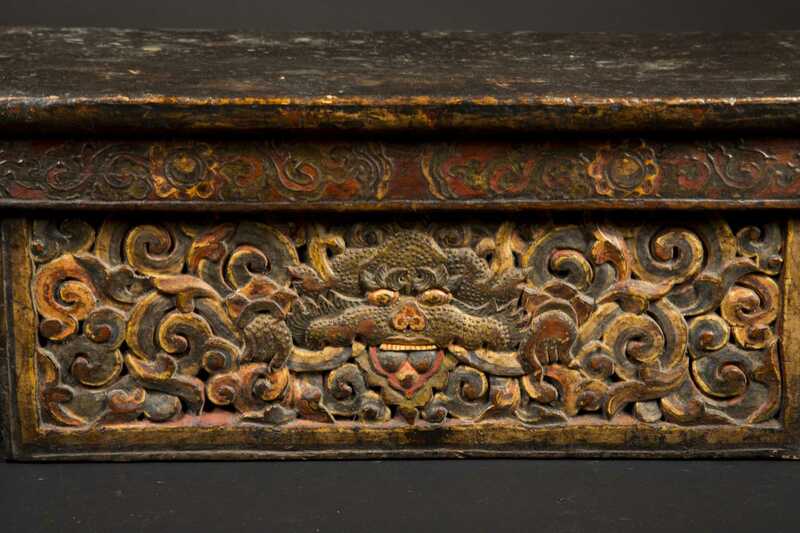 C) Folding table, 24" x 10 1/2" x 10" when open or 3 1/2" when folded (sides folded in and front folds back), the sides and front are heavily carved and painted with a dragon and flowers, 19thC.